A feather quill pen + review on parker quink black ink. | solivagantic. 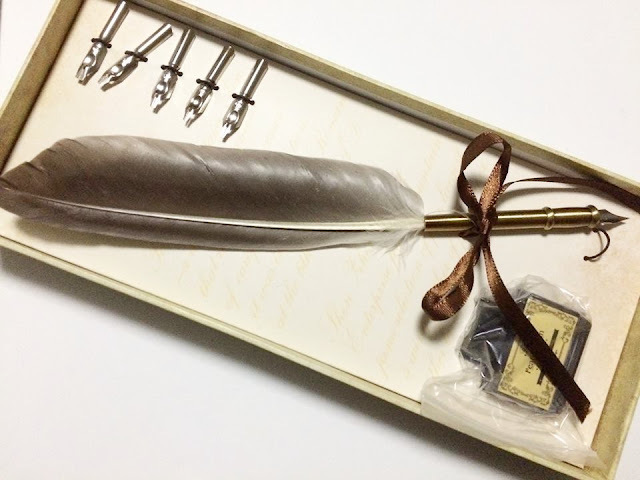 A feather quill pen has been in my wishlist for a long time and my dad granted it! Coming from work in Singapore, he came across a shop that sold wooden pens and he thought that maybe they sold these there too (knowing that I've been wishing for this for months because I wanted to practice calligraphy and I'm so stubborn that I want to learn with this particular writing tool. I do have a brush pen, if that counts.) He also said it was the last stock! What a pleasant day it was when he gave it to me, I didn't even expect it! It consists of a quill, a bottle of ink, and 6 nibs (including the one with the feather quill pen). However, I had to buy ink because I didn't want to use the ink included in the set, I wanted to use it in the future when I get better, however I'm not sure if this is a good idea because I'm not so sure whether the ink included has good quality or not. I originally wanted to buy India Ink because I heard it was cheap and it's pretty good for beginners. 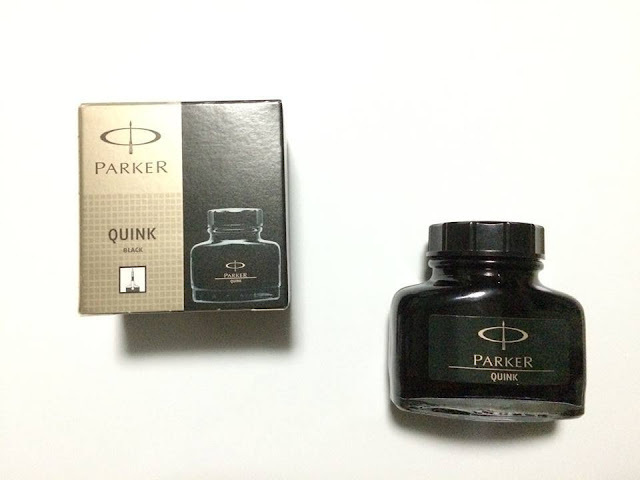 Although the store near my place didn't have stock of it for a long time so I chose this one, Parker Quink Black, which was only 250 php (about $5). But this is actually a fountain pen ink. I was quite disappointed with it because I expected a really black ink, but it seemed more of a dark gray color when I tried it. But I suppose it's good enough for me, being a beginner. One quality I liked about it is the way it dries quickly (Quink being the combination of both words Quick and Ink). Nevertheless, I am happy with both items and now more motivated to practice my calligraphy. What about you? How did you start? If you haven't yet, do you plan to? I advise you to do so, it's really calming and fun! My pet peeves + how to deal with them.